Does eating organic food reduce the risk of cancer? 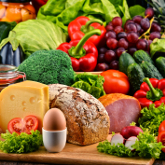 A new study appears to link eating organic food with a reduced risk of developing cancer. Hosting wildlife in your garden has never been more important. 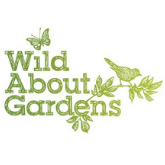 This week’s celebration of wildlife gardening is set against some shock statistics - over half our farmland birds have disappeared and hedgehog numbers are down by 50%. Recyclable plant pots - are they the answer? 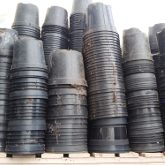 Plastic pollution has been a high-profile issue in 2018, and the ubiquitous black plant pot is one of the worst offenders. Garden centres are now planning to replace them with plastic that can be recycled. But is this enough? 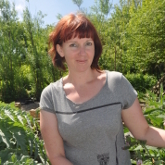 Garden Organic are delighted to announce that we have recently appointed Kim Stoddart to the role of editor of the charity’s member magazine, The Organic Way. A committed organic grower and experienced journalist, Kim was the perfect fit for the role, which will see her first magazine arrive with members this month. The food we produce can have a huge influence on our environment. Whether that impact is positive, or negative is down to the choices we make in how that food is grown and by whom. 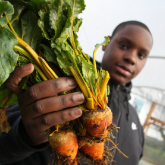 Triodos Bank is supporting the incredibly valuable efforts of independent food growers and producers who are helping to create our sustainable food future. If you have grown leeks in the last few years, you may have noticed a relatively new pest on the scene. The leaves twist, the plants distort, then if you are unlucky, they collapse leaving debris infested with small creamy maggots and brown pupae. It is all quite demoralising, watching this happen, when leeks used to be a relatively easy crop to grow through the winter. The pest is allium leaf miner, and was first sited in the Midlands in 2002. A new Agriculture Bill has been presented to parliament - in response to Brexit. This bill could shape the future of farming, and our countryside, for future generations. 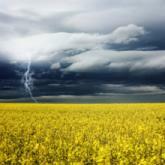 Sadly, there appears no recognition of the importance of organic growing. 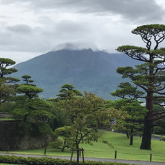 Chris has had an adventurous summer with lots going on and in that time attended 14 flower shows as well as an incredible trip to Japan! However as the first tinges of autumn start to set in, Chris is starting to think about his plans for the winter period. This year, Garden Organic and Vinceremos Organic Wines will have worked together for 30 years. 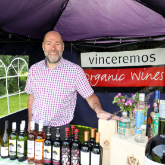 To mark the occasion, Hannah Rogers chatted to Jem Gardener, Owner and Managing Director of Vinceremos, to find out more about the UK’s longest established organic wine specialist.